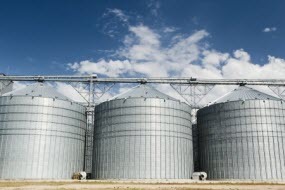 Are Organizational Silos Crippling Your Business? Here’s a 5-Step Plan to Break Them Down. There’s no two ways about it: your business cannot thrive when organizational silos exist. While today’s corporate workplace seems to change and evolve by the minute, silos remain a long-standing challenge for so many businesses. No matter the size of your company, no matter your industry, the narrative leads to the same outcome: silos are damaging to your business on every level and create barriers to your big-picture goals. The reality is, silos are a symptom of a larger problem that starts at the top. And just as it’s the responsibility of business leaders to know the signs and symptoms of silo formation, it’s also up to them to create a methodical plan to break them down before they cause irreversible damage. We’ll provide such a plan here – but first, let’s address the basics. How Do Organizational Silos Form? Top-down disconnects. Business leaders fail to actively communicate organizational goals, or fail to implement the systems and structures needed to help their teams collaboratively work toward common goals. Growth. As a company grows, employees experience a widening rift between their daily work and big-picture goals. They become more loyal and “protective” to those in their group rather than to the organization itself. These rifts also occur at a departmental level; certain groups neglect to share information with other groups, leading to distrust and competition among internal teams. Physical separation. Having employees spread throughout different cities and regions can worsen the effect of silos. Other physical barriers, such as employees working on separate floors of the same building, may also contribute to the silo effect. With each group solely working to protect its own interests, employees easily lose sight of their company’s overarching goals. Additionally, without useful input from resources beyond a team’s own department, creativity and innovation are compromised. Morale suffers. And that leads to poor, near-sighted decision-making that fails to move a company forward. All the while, there is an enormously costly duplication of efforts. Departmental leads devote time and resources to create reports, processes, metrics, methodologies and systems to measure their individual groups, yet those measures differ from team to team. With no common language; no standard basis for comparison, how can business leaders effectively evaluate performance and drive future goals? Silos won’t collapse on their own – the first step in breaking them down is recognizing the need for organizational synergy and a unified vision. This can be accomplished with a Business Review Program, a structured internal process designed to help teams work together toward common goals. So what, exactly, does a Business Review Program entail? You can download a free toolkit that visually depicts the 5 critical steps needed to build an effective Business Review Program. This comprehensive resource walks you through each of the 5 steps, offers tips along the way, and even provides sample soundbites of a Business Review Meeting.